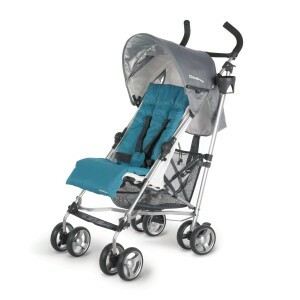 Would not it be fun to have a stroller that keeps your baby protected while keeping you in style? This is when the awesome Uppababy Strollers come in. Staying away from the old boring strollers, all Uppababy models feature sleek and fashionable designs to add a more character and fun to baby strolling. But not sacrificing functionality over fashion, these strollers boast features that are focused on providing your baby the utmost protection and comfort when taking them out for a ride. Uppababy pushchairs have reclining seats to give your kids added comfort and extra space if ever they fall asleep. The canopies can also be adjusted to correspond to the ever-increasing size of your growing baby, especially since these prams support growth from infancy to toddlerhood. Moreover, they have one fold feature that provides secure storage and convenient transport. Uppababy product lineup for 2018 consists of 2 full-size stroller models, 4 lightweight strollers, and one car seat. 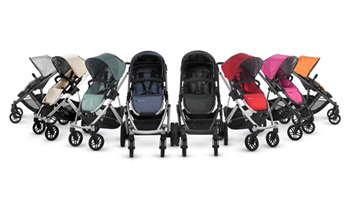 For more active parents, Uppababy Vista Stroller is recommended. It has rubber wheels that make maneuvering easy and an automated push on/push off button as its brake system. Aside from that, all its wheels are shock absorbing to give your child the smoothest ride, even in the roughest paths. Vista also has a matching bassinet that has a weather and sunscreen protection to allow you to interact with your infant more, without sacrificing their security. There is also a removable basket on where you can put your daily essentials while strolling, and some even include a cup holder. This is suitable for use from birth to 50 pounds. Parents who are very active- meaning, those who move a lot or moves very quickly need a pushchair that can keep up with their pace to ensure your child’s comfort and safety. The best Uppababy strollers from Vista series are made for these parents. Its features are dedicated to allowing the parents to move, but not compromising your kid’s protection and comfort. Most Vista models have four shock absorbing wheels, giving your child a smooth ride even on the roughest roads. Besides, the wheels are rubberized which allows you to maneuver easier. For maximum comfort, the seat is reversible and offers four position seat angles. For added convenience, push on and push off brake system has been built in. Some parents are comparing the Baby Jogger City Select vs Uppababy Vista – both models are great prams. All Vista pushchairs come with a matching bassinet, to let you interact more closely with your child. The bassinets are lined with soybean organic so as not to cause any irritation to your baby’s skin. Moreover, the bassinet’s fabrics are removable and washable for added convenience. It also comes with weather and bug sunscreen protection. 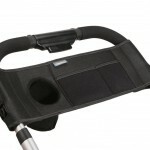 Furthermore, there is a Vista pram that comes with a cup holder (alongside the bassinet, of course). So if you are a kind of parent that always brings a water bottle or any beverage while strolling, then this type of Vista pram is a good choice. The holder is attached to the side of the handlebars for easy pickup. On the other hand, if you like to take your kid to long drives with you, getting the travel system – Vista stroller with matching car seat – is much recommended. The car safety seat provides your child the additional protection and comfort that he needs when he is in a moving vehicle. With this, you do not have to buy separate seats for your child and rest assured that the safety of your child in the perambulator (or bassinet at that) is extended to the car seat. The Uppababy Cruz Stroller is an excellent choice for a family who likes taking their infants and toddlers to vacations and long drives. 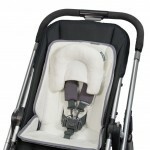 You can get a compatible car seat to extend the pushchair’s safety and comfort features. With additional protection, you can rest assured that your kid is always protected whether it may be in strolling or during drives. It also has a snug fit to provide utmost comfort. Furthermore, its canopy can be adjusted according to your child’s height, enabling you to use it for many years. 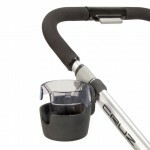 If you want a more fun baby carriage compared to those usual boring ones, then look no further than the Cruz strollers. They come in stylish design yet without compromising its functionality. The Cruz models have features dedicated to keeping your little ones safe and comfortable in every ride. The seats can be fully reclined up to 180 degrees to provide your kids the maximum comfort, especially for long walks or rides or whenever they fall asleep. Besides, there are two canopy positions available to accommodate your baby’s development, from infancy until toddlerhood. It also features one-step fold (with or without the seat) for added convenience and hassle-free transport. The Cup Holder is highly recommended for parents who always bring a bottle of water, or any beverage at that, during strolling. The holder is perfect to put in your drink so you can stroll with much comfort and play with your baby more without the hindrance of holding a bottle. This pushchair series, of course, comes with all options necessary for comfort and safety of your toddler. If you are juggling parenthood and work, or only just need an extra pair of hands to attend to all their errands, you may want to get Parent Organizer. The organizer allows you to store your daily essentials in the carriage, freeing your hands for doing other things. If your family likes to go on vacation and take long drives, the Uppababy compatible car seat and Adapter/Infant Snugfit is highly advisable. This stroller’s safety features are extended to provide the additional protection to your infants and toddlers whenever you take them out for a drive. 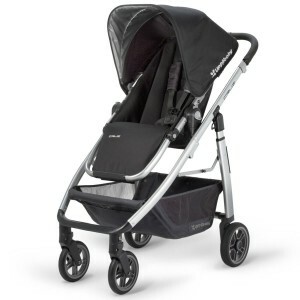 One of the dopest Uppababy models that you can get is the Uppababy G-Luxe Stroller. This perambulator features 5.5 diameter wheels, which is very high performing as it can withstand even the toughest terrain. Its front wheels are also lockable to provide stability. For additional convenience, it remains standing up even when folded so that you do not have to bend all the way down to pick it up. Furthermore, G-Luxe stroller provides extra protection to your kid’s skin as it features 50 SPF pop-out canopy blocking away the harmful UV rays. This is very advisable for people living in places that usually experience hot weather. This type of pram is recommended for three months to 50pounds kids. The G-Luxe is the answer to all your outdoor needs with all the modern amenities you need whenever you want to go out to the park or buy supplies at the store. You can now have your child with you with less hassle and more comfort and security when you strap him in a G-Luxe. Keep your baby happy always and bring along his snacks and favorite toys. The basket is readily accessible to you so you can pick up his things without difficulty. There is also the one-hand recline that makes it even more convenient for you if your kid needs to take a nap while in the stroller. There is a shock-absorbing suspension for the front and back wheels, so your baby is snug and comfy inside the pram while you maneuver the aisles of the store or the busy streets of the city. To prevent toe stubs that ruin your pedicure, the rear frame is elevated, and it also helps you to push the pram a whole lot easier. Lightweight aluminum is used for the frame, and the handles come with ergonomic grips for your comfort as well. The fabric is fade-resistant, so it will still look new despite your use. This UPPAbaby pushchair is suitable for babies 30 months old up until they gain 40 pounds. With the umbrella fold system and the extreme lightness of this pram, you will find that it is very convenient to bring outside. The stroller stands when it is folded and open up with the opening triggers that are conveniently at level with your hand. Parents are always meticulous when it comes to things for their kids. They search for the right stroller that will provide comfort and safety to their kids as well as protection from harsh weather. Nowadays, there are a lot of pushchairs out in the market so you better look close as to which you should purchase. 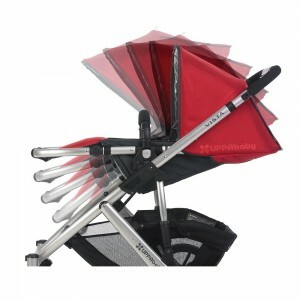 Your kids are well-protected from sun and rain by the canopy of this pushchair. The canopy features an extension with SPF 50 sun protection, so your kid doesn’t get burned by the summer sun. This canopy is also adjustable, and you can retract it if you want to. Most of the praise that has been directed to G-Luxe pram is due to its specific niche: It is an umbrella stroller. 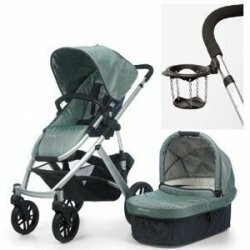 While that may not sound too alluring at first, a relaxing shade and protection from sunlight and rain is something all baby carts should have, and they are features that are sure to make any baby happy. After all, isn’t that the main reason parents bother using a baby carriage in the first place? 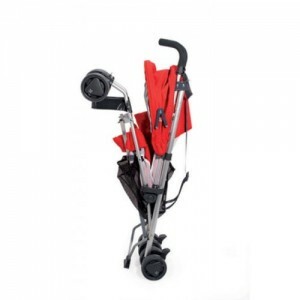 Other than this uniqueness, this pushchair has been garnered to be a lightweight tool that can be folded easily. The baskets and the suspension wheels make it both helpful and safe while giving the parents a lot of ease in using the baby carriage. However, complaints have arisen regarding the seat of this model, which is not deep enough for the proper placement of a baby’s whole body. If you are looking for a pram that is truly easy to transport, Uppababy G-Lite Stroller is definitely for you. It is very lightweight and opens just with one hand, which makes it very convenient if you plan to go on a series of trips with your kid. Though it is lightweight, its features do not come small. Its shock-absorbing wheels will ensure that your baby will have a smooth ride in whatever kind of road. Its front wheels can quickly be locked to add stability. It also has ergonomic handles, which you can adjust to your height for extra comfort.